While we would love our wardrobe to be full of clothes, our bank balance plus the lack of space in our home makes it an impossible reality. After all, it will cost the earth if we have to keep going out to the shops to buy brand new clothes. And while we envy people who do go out shopping all the time, it's impossible to keep buying new outfits. So, we have to make do with the clothes that we do have. However, when you have only limited clothes, it's the case we might keep wearing the same outfits to events. For instance, we might keep wearing the same outfit to work or even to a night out. Related reading: How to dress up a maxi dress for evening and look amazing! And it can feel like a fashion let down when we have to wear the same outfit every time. After all, while we might not have the biggest bank balance in the world, we want people to think we are minted. And that we do like to follow fashion trends. However, there are some ways you can show you are a fashionista without reaching for the credit card. 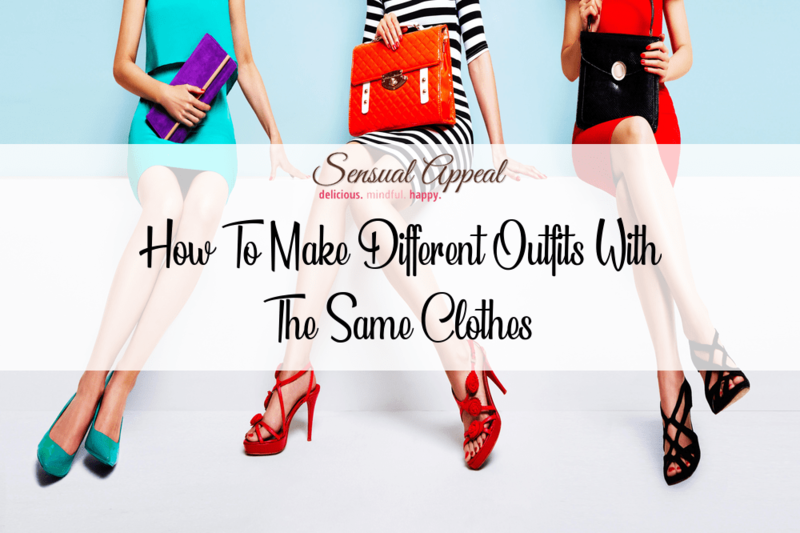 In fact, here is how to make different outfits with the same clothes. When you have the same clothes, it can be difficult to make them look like a completely different outfit. 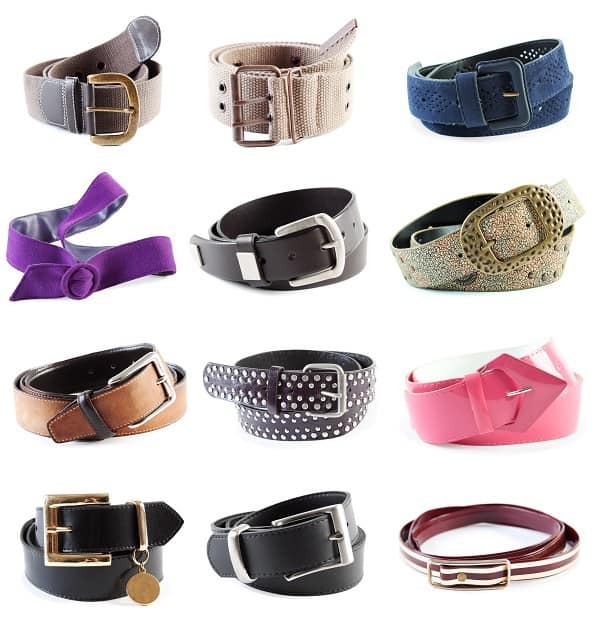 But one thing which can help you to change that outfit so you can show off your style game is by using belts. After all, they can completely change the outfit so that it looks like the first time you have worn it. For one thing, they can add a pop of color to an outfit. If you are wearing a little black dress or even a black shirt with a dark colored pencil skirt, a bright belt can turn it from a work outfit to evening attire. Therefore, use your colorful belt to completely change the outfit from zero to outfit. Also, you can place the belt at different points to create a new look. For example, you could place it around your waist to give the dress a more fitted look. And it will really define your waist so it will be perfect if you want to look your best. You could always put the belt much higher underneath your bust. By placing it in this area, you can change the whole look of the outfit. Also, you can opt for a belt with a funky pattern. For instance, you could go for one which has studs or sequins to give you an edge and a touch of glam. Or you could go for one which has a striking pattern if you want to add a touch of fun to your outfit. And if the clothes come with a belt, it can be worth trying without it. Letting the dress flow can give it more of a chilled out feel and would be perfect for a spring or summer day. Related reading: Learn here how to add side panels easily to a skirt that is too small for you to wear. One of the best things about shirts is that they can be used to make a ton of different outfits. After all, they are multi-purpose so you can go to work without people realizing that you have actually worn one several times before. The first outfit you can make with that shirt is a simple buttoned up with trousers look. This is perfect for heading into a meeting or even having a long work lunch. It's formal and will ensure you look professional. You can also undo a few buttons and wear a similar shirt underneath. Add some jewelry and it will give you a whole new look. It will be more casual and will be ideal for a drink after work. You can even add some color by opting for a shirt in a different shade than the shirt. Also, if you have gone for a long shirt, you can skip the trousers or shirt with the dress and opt for leggings or tights instead. By doing this, you have a great casual look which will be perfect for the summer months. Also, it's ideal if you want a nice casual Saturday outfit. Even if you are meeting your co-workers for lunch, they won't realize that it's the same outfit you wore to work the other day. Combine it with a pair of flats to ensure you perfect the ultimate casual look. Related: Learn how you can wear the same outfit but in different ways. The easiest way you can make different outfits with the same clothes is by using accessories to their potential. After all, you can instantly give off a new feel by using a different necklace or bracelet with your outfit. Everyone's eyes will be drawn to the new feature and it will help you to create a whole new look. Therefore, switch between different jewelry to give your outfit a whole new look. For instance, if you have got a gorgeous maxi dress, the first time you wear it, team it up with a cute necklace and stylish earrings. Then the next time you wear it, you might want to go for a small neck scarf and even a set of bangles which will give you more of a beach vibe. And by adding a hair accessory it can change the outfit. For instance, if you add a fascinator, you can ensure you pull off a formal style with that dress. But by adding a floral headband or even a headscarf, you can pull off more of a beach festival look.